Description: 10 homeopaths share insights into their life and work as a homeopath. Each is filmed in their own clinical settings giving a feel of what it is like to run your own practice. Description: I’m Kiran Grover and I am a practicing homeopath in London. I work for a multidisciplinary clinic. Description: I’m Jenny Grist and I’m a homeopath. I’ve been qualified for thirteen years, and I have been practicing in my home in Devon all that time. 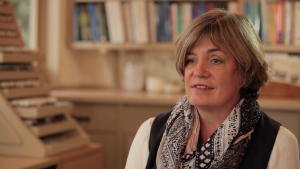 Description: I’m Dr Helen Beaumont and I’m a homeopathic physician. I started off really in general practice but now I do mainly homeopathy. I’m passionate also about education so I’m a teacher of homeopathy in Bristol. Description: My name is Liliana Bellini and I have been a homeopath for 11 years. I chose a career in homeopathy because 16 years ago we lost somebody very special and very close in our family. And through the grief and the pain, something started to grow within me. 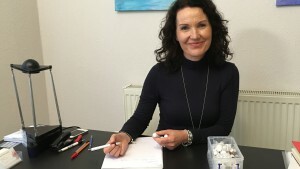 Description: My name is Hilery Dorrian, and I am a homeopath. I started my career in homeopathy actually as an acupuncturist nearly 35 years ago. Description: My name is Nick Taylor, I am a homeopath. I’ve been practising homeopathy for about 23 years and work in a homeopathic clinic in Stroud. 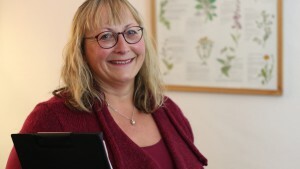 Description: I am Jo Ketteman, I am a homeopath. 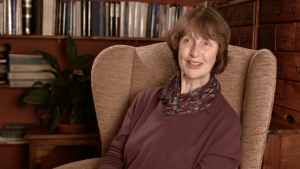 I trained as a homeopath after previously working as a nurse and a midwife. Description: My name is Max Mainini, I studied to be a hotel manager in my teens and in my mid thirties I wanted to make a career change. I was looking to find something that would actually make a real difference in peoples lives. 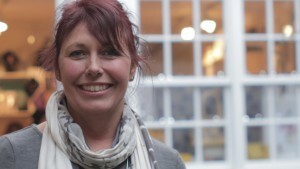 Description: My name is Sarah Hemesley, and I am a registered homeopath. I have been a homeopath for over 25 years. Previously I was in mental health and found it stressful and unfulfilling. 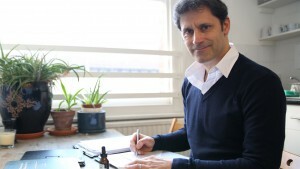 Description: My name is Uli and I am a homeopath. I did my training here in England, and I practice from home. I discovered homeopathy when I was working as an Intensive care nurse in a homeopathic hospital in Germany. 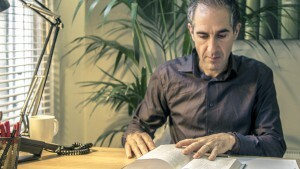 Description: As a graphic designer I was used to telling stories through my work; now as a homeopath, I listen to them. Trying to uncover a patient’s story requires a similar skill-set I think but I see my role as looking for the… read more. Description: I am currently half way through a four-year foundation course studying astrology at the World of Light Clinic which is affiliated to the School of Shamanic Homoeopathy in London… read more. Description: I was born in Berlin and spent 10 years of my life working as an actress in the theatre until I trained as a cranial sacral therapist and physiotherapist. I moved to England to study homeopathy… read more. Description: In my previous life I worked in the commercial world of genetic testing and eventually started working for a large pharmaceutical company, it seems a million years ago now… read more. Description: I have been a cranial sacral therapist and Shamanic worker for 10 years and homeopathy kind of crept up on me throughout this time I think. I hadn’t experienced homeopathy for myself… read more. And Mani Norland, Principal at the School of Homeopathy for leading the project and Creative Direction, and Lindsey Puddifant for her generous contribution to assist with media training and interviewing.